Enterprise DevOps - Ship better software, more frequently: Streamline and automate the workflow between development and IT operations and deploy applications faster. The Release Management capabilities in Visual Studio 2015 enable you to deploy continuously and define release stages, acceptance criteria, and approval workflows to automate the release process. After deployment is complete, close the loop between production and development and fix bugs faster with real insights and data captured directly in production. Enterprise Agile - Create and empower agile teams: Agile tools and project management capabilities optimized for enterprise-scale projects help you manage work across projects and teams in an environment that’s productive and easy to use. Manage complexity - Easily conquer even the largest solutions: Use innovative modeling tools and create the high-quality, mission-critical software that is the engine of your business. Easily manage dependencies and even the largest codebases with tools for code mapping and architectural discovery. Use advanced monitoring and debugging tools to identify, triage and fix complex application issues faster than ever. No more “no repro” - Go back in time with code execution history for .NET code: As you edit and run your .NET code locally, you encounter an unexpected behavior — this could be a bug! Diagnosing such issues can sometimes take hours of searching through source code and repeated guesses where to set breakpoints. Using the diagnostic tools in Visual Studio 2015 and IntelliTrace, you can see the history of your code’s execution and navigate back in time to inspect state without manually setting breakpoints. This will save you a lot of time that you can spend more productively instead. Higher-quality code - It's unit testing, now faster and easier: Use IntelliTest to quickly generate relevant unit tests for your code — automatically. IntelliTest dramatically reduces the effort involved in creating unit tests for new or existing code, so you can focus on building features instead. Easily create sets of unit tests for legacy code that has never been looked at before and increase path coverage and code quality — with minimum effort. 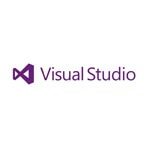 Unlimited load testing - Understand what your application can handle before you deploy: Visual Studio makes integrating load testing into your development process easy, and will help you avoid nasty surprises in production. Whether those surprises are caused by worldwide distribution, the scale of your customer base or problems that only manifest in multi-day runs, Visual Studio load testing will give you the analytics to solve those problems before you deploy. MSDN subscription - Exclusive access to Microsoft’s vast developer resources: With a Visual Studio Enterprise with MSDN subscription, you get all the software and benefits you need to stay up on all things code, including access to virtually all Microsoft software for development and test, monthly cloud credits, collaboration tools, training courses, professional support, and more — all the latest and greatest from Microsoft. -On Windows 8.1 and Windows Server 2012 R2, update 2919355 (also available through Windows Update) is required for Visual Studio 2015 to install successfully. -Windows 8.1 and Windows Phone 8.1 and development require Windows 8.1 Update or later. -Windows Phone 8.0 development require Windows 8.1 Update (x64) or later. -For emulator support (Windows or Android), Windows 8.1 (x64) Professional edition or higher or Windows 10 Pro or Enterprise (x64) editions are required. In addition, you need a processor that supports Client Hyper-V and Second Level Address Translation (SLAT).